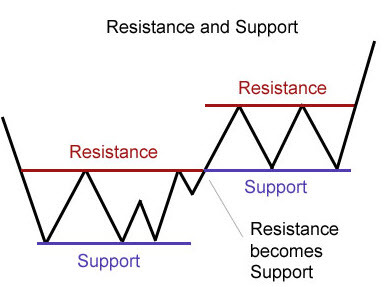 Trading support and resistance is probably the best way of trading the Forex Market. The main reason for this is the S & R trading identifies the barriers the Big Players (Banks and Governments) try to defend. You only need to read commentary by great traders and banks to realise the importance of major support and resistance levels. Important Support and Resistance levels can be big bounce and breakout opportunities. Support and Resistance trading often do not have black and white trading rules, for example, when will a level act as a breakout point and when will it be a bounce point if often inconsistent. Finding Support and Resistance is also often subjective. What one trader sees as support another may not. Also refer to the User Guide (download details below) for more information on how the indicator works.